Wow, how did it become October 11th so fast? How did my countdown on the blog get to under one day? How did the Braves blow the game in the 9th inning last night? I feel like I should say something profound today. My book comes out tomorrow, and I'm extremely excited for people to read it and I'm really looking forward to meeting some of you out on the road in the next couple of weeks. I guess that sums it up. I think you'll like SCORCH. If you liked the first book (and I'm not arrogantly saying that's everyone, but if you DID like it), then I'm confident you'll love the sequel. It begins just hours after the first one ends, and I'm pretty sure you'll never be able to guess the direction it's going. Be sure and let us know here at the Dude what you think!!!! Have you guys seen the trailer for SCORCH? It's short but really cool. I'll paste it at the bottom of this post. If you're looking for the tour schedule, CLICK HERE. I hope all who live within a reasonable distance (say... 286 miles) to these events will come out. I wish everyone could make it to the official Launch Party tomorrow night (The King's English in SLC, 7:00 pm, 1532 S, 1500 E), but some of you may live more than 286 miles away. You can also friend me on Facebook (CLICK HERE) or follow this blog (CLICK HERE) or "Like" the official FB Maze Runner page (CLICK HERE). So many options! Tomorrow. My book comes out tomorrow. That's awesome. Here's the trailer (be sure and watch some of the fan made videos on YouTube. I love them!). If you can't see the whole thing, just go to the actual website: CLICK HERE. One week. One week from TODAY! 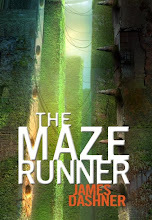 The Scorch Trials will be in a bookstore near you. I'm so excited for all of you to read this book. Extremely excited. Here's hoping you'll like it. Thomas led the Gladers to safety in The Maze Runner (2009). But after just one night’s rest, the survivors are told that a true haven is still a long way off. To reach it, they have to pass another trial: crossing an expanse of scorched earth while being pursued by the Cranks, humans infected by the Flare, a disease that inflicts madness. If they can just make it to the designated meeting point on time (and alive), they will be met by a rescue team from the shadowy organization behind these trials, receive the cure to the pandemic and never have to face danger again. Tuesday, October 12th @ 7 p.m.
Wednesday, October 13th @ 7 p.m.
Thursday, October 14th @ 7 p.m.
Friday, October 15th @ 7 p.m.
Saturday, October 16th @ 1:30 p.m.
Monday, October 18th @ 7 p.m.
October 19th @ 7 p.m.
Wednesday, October 20th at 7 p.m.
Thursday, October 21st @ 7 p.m.
Friday, October 22nd @ 4 p.m.
Monday, October 25th @ 7 p.m.
Tuesday, October 26th @ 7 p.m.
Wednesday, October 27th @ 10 a.m.